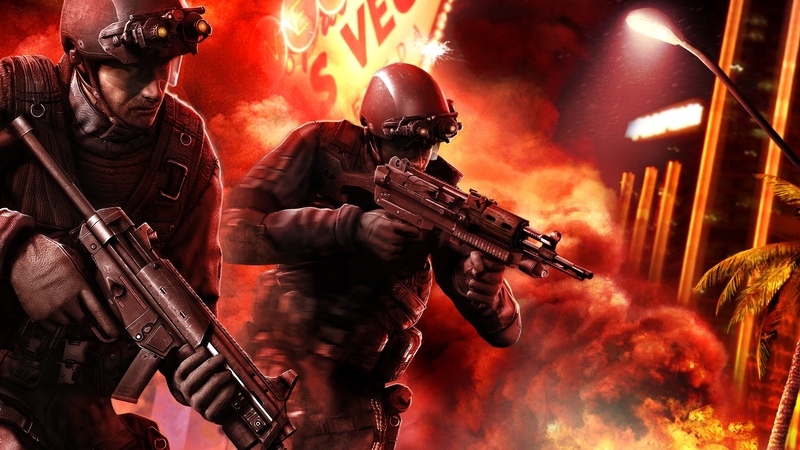 Краткое описание: Rainbow Six Vegas changes the series with multiple new features, such as a new health system where the player regenerates health while not taking fire (it should be noted that the player may sometimes be killed instantly, without a chance to regenerate health; this usually happens from grenades, as well as taking close range fire from very powerful weapons, particularly to the head). 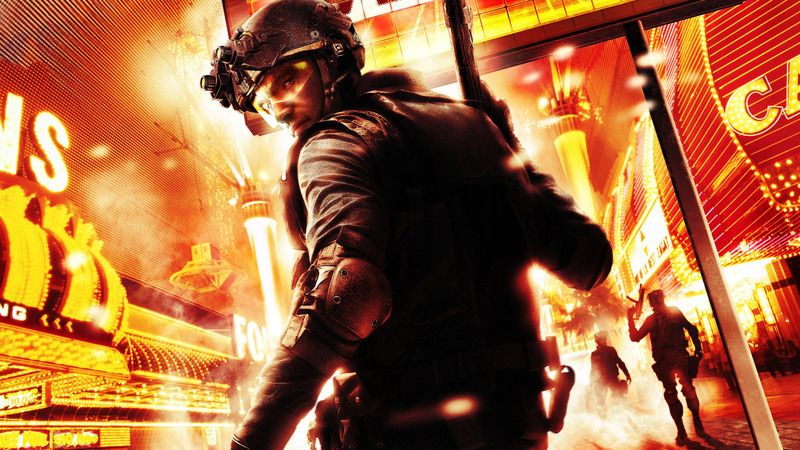 In the year 2010, Rainbow operatives Logan Keller (Andrew Pifko), Gabriel Nowak (Thomas Michael) and Kan Akahashi (Dennis Akayama) are on a mission in a Mexican border town, assisted by intelligence officer Joanna Torres (Athena Karkanis) and pilot Brody Lukin (Andrew Pifko). 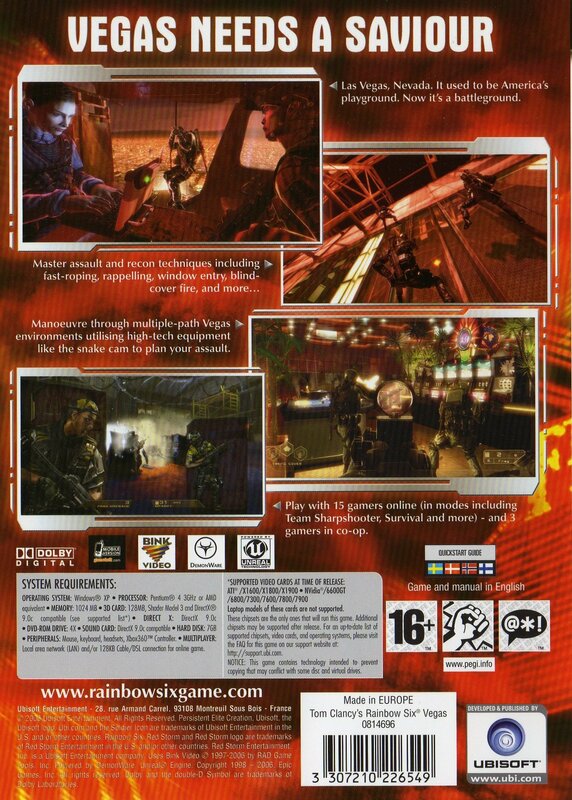 Their objective is to arrest Irena Morales (Amanda Martinez), a terrorist ringleader. As the team reaches its landing zone in a helicopter, Logan fast-ropes down first but is separated from his group. 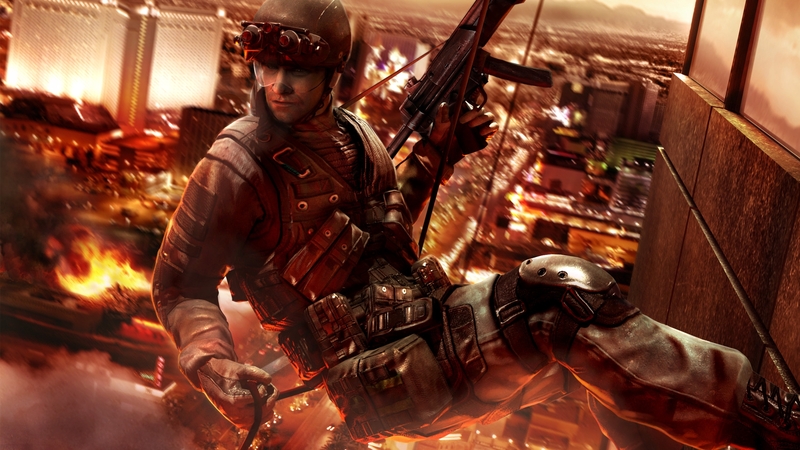 Rainbow Six Vegas changes the series with multiple new features, such as a new health system where the player regenerates health while not taking fire (it should be noted that the player may sometimes be killed instantly, without a chance to regenerate health; this usually happens from grenades, as well as taking close range fire from very powerful weapons, particularly to the head). 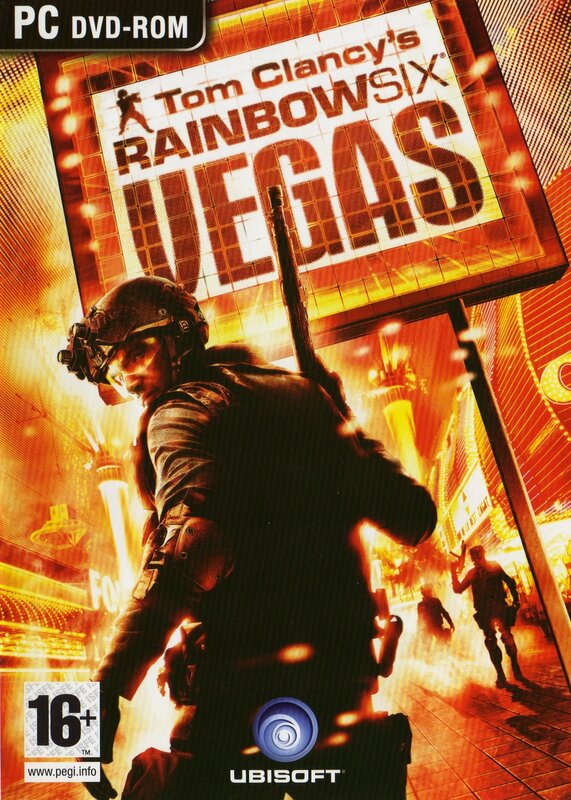 In the year 2010, Rainbow operatives Logan Keller (Andrew Pifko), Gabriel Nowak (Thomas Michael) and Kan Akahashi (Dennis Akayama) are on a mission in a Mexican border town, assisted by intelligence officer Joanna Torres (Athena Karkanis) and pilot Brody Lukin (Andrew Pifko). 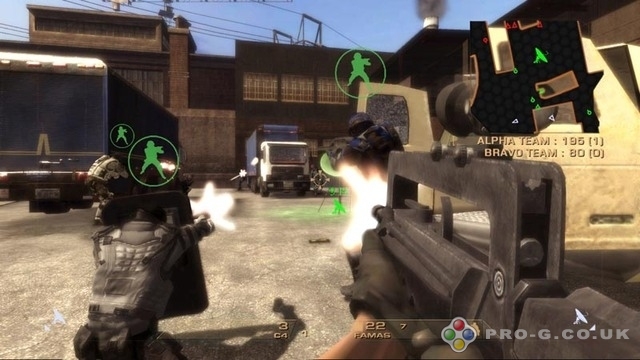 Their objective is to arrest Irena Morales (Amanda Martinez), a terrorist ringleader. As the team reaches its landing zone in a helicopter, Logan fast-ropes down first but is separated from his group.